lmharnisch: Whats that on your shirt, Phelan? 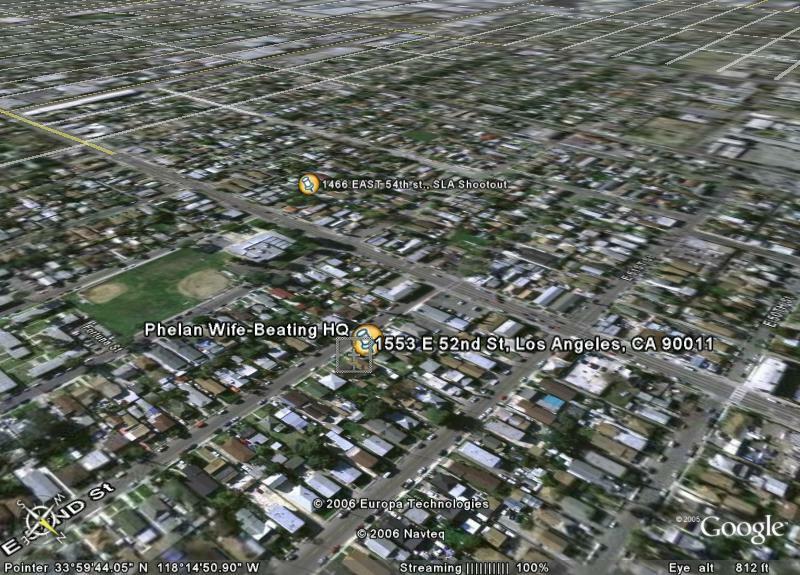 Note that Google Earth shows the Phelan home still standing and that it's near the site of the S.L.A. shootout on the other side of Compton Avenue.